For those of you who are ready to have the home you’ve always dreamed of, we offer a rare combination of long term industry experience, building craftsmanship and personalised service. Our homes offer; style, quality and innovative design that stand out from the ordinary. Call us today to discuss affordable building solutions for both new homes and renovations. Architectural designer homes are our specialty. 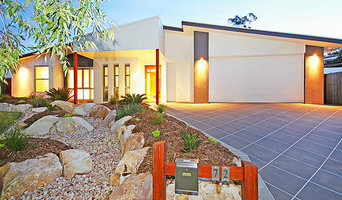 Hi- Tech Projects is a Brisbane based building company specializing in quality Residential & Commercial construction. We also build commercial & industrial tilt panel buildings including all aspects from design & costings through to complete construction. Our process is aimed at creating an efficient building process. What does this mean? It means that we strive to ensure each part of the process involved in building your home is as efficient as it can be. We have created an Efficient Building Method to make this process possible. Orientation, services, soil types and the slope of the site all have a big impact on the overall cost of the home, we provide expert advice to help you select and build on your land then provide a Fixed Price contract with no hidden extras for your piece of mind. Smith & Sons Indooroopilly are your local renovation and extension specialists for west Brisbane! The team at Smith & Sons Indooroopilly have extensive experience in all types of renovations and extensions- from the old Queenslander to the modern family home. Whether you’re looking to add a storey, create a deck, upgrade your kitchen, renovate your bathroom or extend your living space- the team at Smith & Sons Indooroopilly can help! Smith & Sons Indooroopilly help clients create a home that suits their lifestyle and future requirements- no project is too big for Smith & Sons. 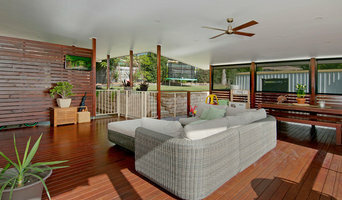 Smith & Sons Brisbane City are your local builders who specialise in renovations & extensions in the heart of Brisbane. 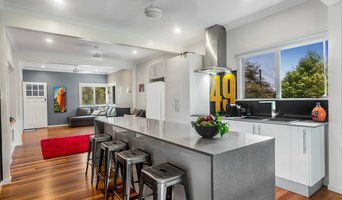 Smith and Sons Ashgrove are professional and local renovation builders who help clients improve their home to suit their lifestyle, needs and increase the value of their home. Our clients feel safe and relaxed throughout the entire process because we providing high quality renovations, from concept to completion - on time and to budget. Space Constructions are high quality custom homes builders and commercial building contractors based in the inner city in Brisbane. We are a dynamic, award-winning company with a track record of quality custom built projects across both luxury residential renovations and select commercial fit-outs. We know that building can sometimes be a stressful time for owners, as you watch your dream design for your building taking shape on site, while construction challenges and issues can often arise to be resolved. Space Constructions take the stress away by providing a complete project management service from start-to-finish, drawing on our extensive experience as custom homes builders and commercial building contractors. Paris Projects is a builder and renovator of beautiful one of a kind homes, serving homeowners in Brisbane’s inner suburbs. At Paris Projects we provide three distinct services: Design and Build, Build Only, and Swimming Pools & Landscapes. Our promise to you: Open communication. We want to hear your ideas, we are always contactable and we keep you informed every step of the way. Transparency. Our detailed proposals spell out every step of your home building project. We want to deliver on your high expectations. Attention to detail. We look at homes we are building through the eyes of our clients. A thousand details add up to one great impression. Every problem comes with a solution. Every home building project has its challenges. The Paris Projects difference is that whenever we raise an issue with you we’ll always be ready with a solution. Reliable sub-contractors. Every sub-contractor working with the Paris Projects team on your new home is trusted, reliable and has worked with us on previous projects. It all starts with a conversation. Call us today to arrange a personal meeting and share with us your vision for your new home. 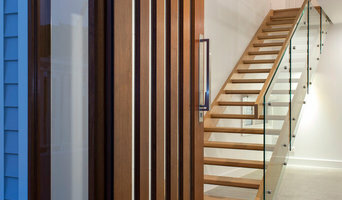 Adam Mason Homes are the specialists in custom designed homes. Whether you would like us to design your dream home or you already have your architectural plans, we take all the stress out of building your new home, making it the enjoyable and exciting experience it should be. If you are looking for a “Custom design, quality built” home, contact Adam Mason Homes to discuss your specific requirements. Luke Murray Builder specializes in creating houses for growing families, ageing families, and changing families. We are a client-focused builder, with a commitment to quality and personalized service. Our creative design team, and dedicated construction professionals will help you bring your ideas to life. Let us help your family to design and build a house for life. 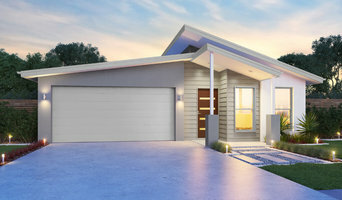 Custom Homes Are our Specialty Devmark Project offers complete turn-key delivery of home packages, including full Client design customisation, documentation and building approval. Devmark Projects Homes provide a unique appeal and level of finish to stand out in today's competitive market, and can be tailored to meet any budget. Fixed Price Lump Sum or Design & Construct Fixed Price Lump Sum Construction is the cost effective delivery of fully documented construction projects that can include negotiated works packages. On the other hand, Design & Construct (D&C) is the integrated delivery of your development project, and can include all aspects of planning, design, documentation, coordination and construction. However you are looking to structure your project, Devmark Projects aims to value to the venture. Development Partnerships From time to time, Devmark Projects may undertake partnerships with private developers and land owners on key projects, consolidating the development team for the benefit of all stakeholders.